When it comes to the art of being a man, a good cologne selection is a must have. Stimulation of the olfactory receptors has a broad spectrum of benefits which include enhanced attractiveness, increased confidence and a readiness to take on the world. This is exactly what Solid State Cologne for Men delivers. Designed for that man that knows what he wants and who carves his own way into the world, Solid State is there to show the world what type of man you are. The Journeyman is ready to accompany you on any journey that you undertake and features a sublime mixture of Mandarin, Cedar and Vetiver. 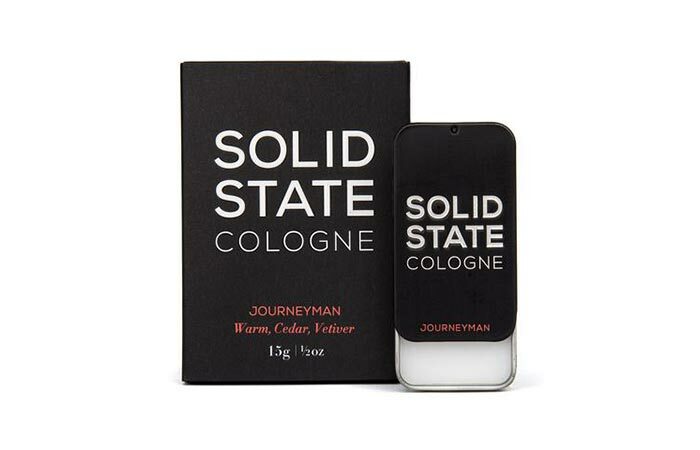 Solid State offers a premium selection of the finest Solid Colognes that will add air to your life like no other. They have three different colognes to suit your particular style and needs, or, you could also purchase ‘The Collection’, which offers all three in one package. Be it a voyage across the seven seas or the corners of the globe, the smooth Leather, Rose and White Musk that the Voyager has to offer, will give you the edge to do what you need to do. The “Journeyman” which is a combination of Mandarin, Cedar and Vetiver. The “Voyager” which is composed of Leather, Rose and White Musk. The “Wayfarer” that includes a mixture of Spicy Tobacco, Vanilla and Cacao. So be it that you are out on a journey, an adventure, or a voyage, each of these particular scents have been meticulously crafted to capture a significant moment in time. The Wayfarer offers a premium mixture of Spicy Tobacco, Vanilla and Cacao, to carry you with ease and readiness during your entire day. Whenever you need a burst of confidence, a moment of inspired imagination, a moment of creative indulgence, Solid State will be there to assist you along your way. Besides, women absolutely adore a man who can tantalize their sense of smell. Get it from Solid State here.